BOOKMARK MY STORE AS I WILL BE LISTING MORE ITEMS!! 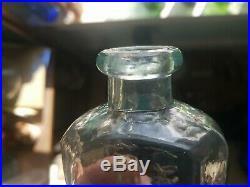 Here is an aqua, rectangular, mold blown bitters bottle with beveled edges. 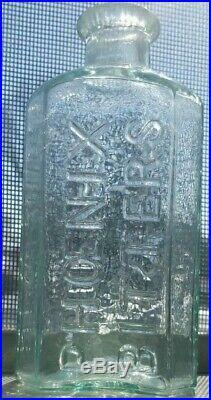 It stands 5.25 inches tall. 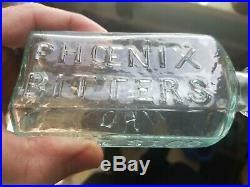 It is embossed PHOENIX BITTERS on the front.... JOHN MOFFAT on the back. It has an applied ring lip finish. 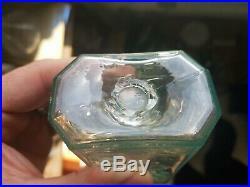 It has a nice tubular open pontil base scar. It is very clean and shiny with no chips, cracks, or dings. Please bookmark my store as I will be listing more items. 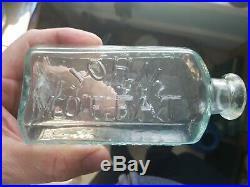 I have dealt it bottles for 20 years; I pack items well but cannot be responsible for clumsy or irresponsible post office workers. 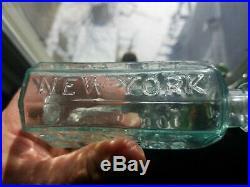 The item "OPEN PONTIL JOHN MOFFAT PHOENIX BITTERS RING TOP NEW YORK 1855 FREE SHIP SPARKLE" is in sale since Wednesday, March 13, 2019. 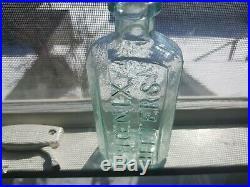 This item is in the category "Collectibles\Bottles & Insulators\Bottles\Antique (Pre-1900)\Bitters". 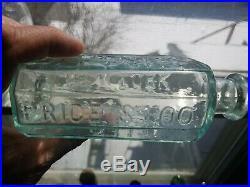 The seller is "brandon551" and is located in Centralia, Illinois.